I am so eager to share with you my post workout yummy snack! I have returned to the gym and one of my favourite ways of exercising, weight training! I had a rather long break due to health issues but I am back in the game! 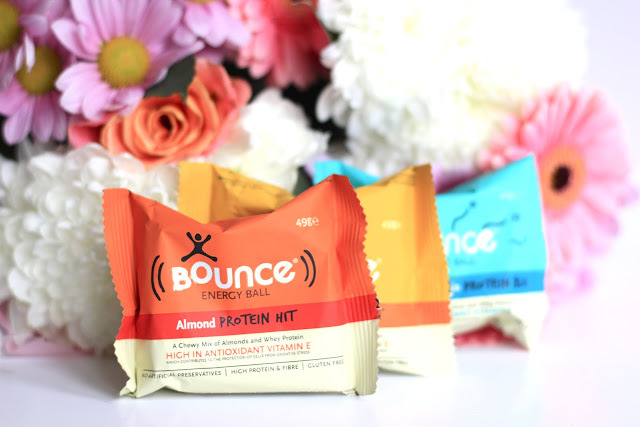 I always wanted to try Bounce Balls but there was no need really since I did not feel like I am was exercising enough to add extra the protein to my diet, on top of my usual amount. Finally I decided that my exercising level is high enough to try them! What a treat! When I leave my flat early in the morning, I am not very hungry. I would love to be able to eat breakfasts at 5am but my body simply does not feel hunger at that time of the day. Trying to find various snacks that are easy to transport can be tricky. 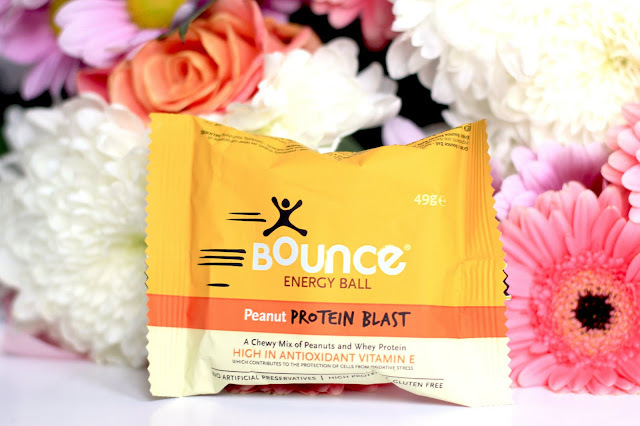 Bounce energy balls sounded like something that might do the job perfectly! Almond Protein Hit was the first one I tried; there are nine I could pick from. Almond was exactly what I was looking for! I am getting slightly ahead of myself so I will start from the beginning, which is packaging. I really like how aesthetically pleasing and easy to spot in a bag the packaging is. Every flavour comes in different colours. When I opened the package I could see a rather cute looking ball, around 3-4 cm in diameter, smothered with crushed almonds. This added a bit of a crunch. It was a pleasant replacement to an ordinary breakfast. As far as I noticed, each of the different balls have a different amount of calories. Almond Bounce Ball has 216 kcal so it acted for me as a meal replacement. It could have slightly more proteins than 12 grams, I felt this seemed low. I am not a fitness trainer nor nutritionist so I cannot say from this perspectives. 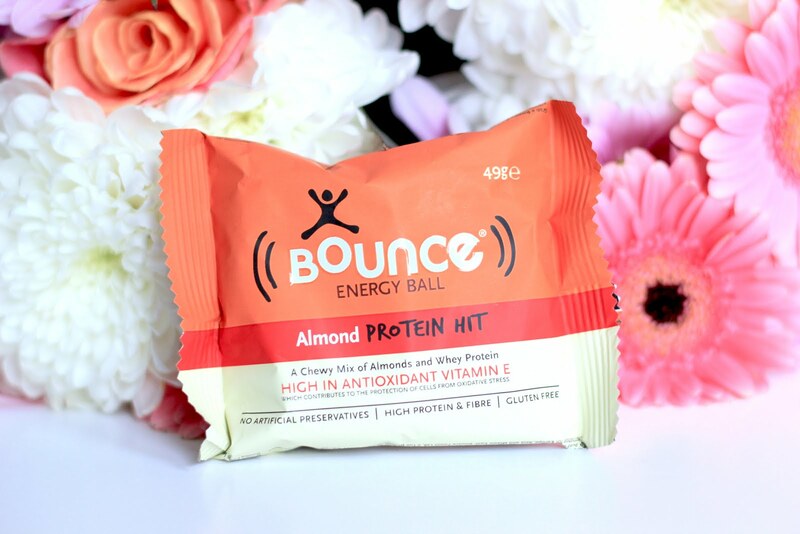 As tasty as bounce balls are and they are very tasty I would not make them my everyday breakfast despite the fact that I would rather eat them and sleep for the extra 30 minutes rather than preparing breakfast. Protein cookies I have had before were a bit tough to bite into, sticky and chewy, with an incredible ability to dry my mouth. I was looking for something I can have while on the go, at work, before meetings without being afraid that there is something sticking to my teeth, and without the need to have water as I am eating it. This ball might not be as sticky as the protein cookies I mentioned but the are heading towards the sticky direction. Because Peanut Bounce Energy Ball (207 kcal) was the chewiest for me out of all of them thus I am not fully convinced yet. I like peanuts but I doubt I will get more of them at the moment. Although it is not my first choice, I might possibly buy a few more this flavour bounce balls later to add a bit of variety to my diet. It also has the highest amount of protein, 14 grams. Coconut and Macademia Protein Bliss is my definitely number two out of three. The flavour combination of coconut and macadamia works so well for my taste buds! Additionally it has the least amount of calories, only 179 kcal per ball but also 9 grams of protein. All Bounce Balls are perfect to keep me going for next few hours without the need to nibble on other things. 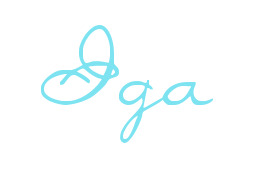 They are worth considering for someone who has a fairly active lifestyle. Their size is very convenient, Bounce Balls will not take too much space in your bag. 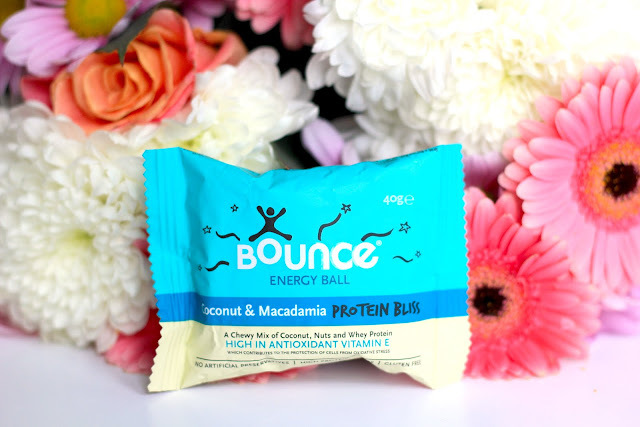 One ball costs around £1.99 and you can get them from UK Bounce Food, Holland & Barrett, Amazon, Planet Organic etc. However, keep your eyes peeled for discounts and closing down supplement shops. I managed to buy mine for half price. What is your favourite snack after workout? They sell these where I work and they look really nice! Great post lovely! They are very tasty and quick 'pick up' snack.